Complete your favourite outfit this season with our new Sara cardigan and achieve a timeless, classic look. 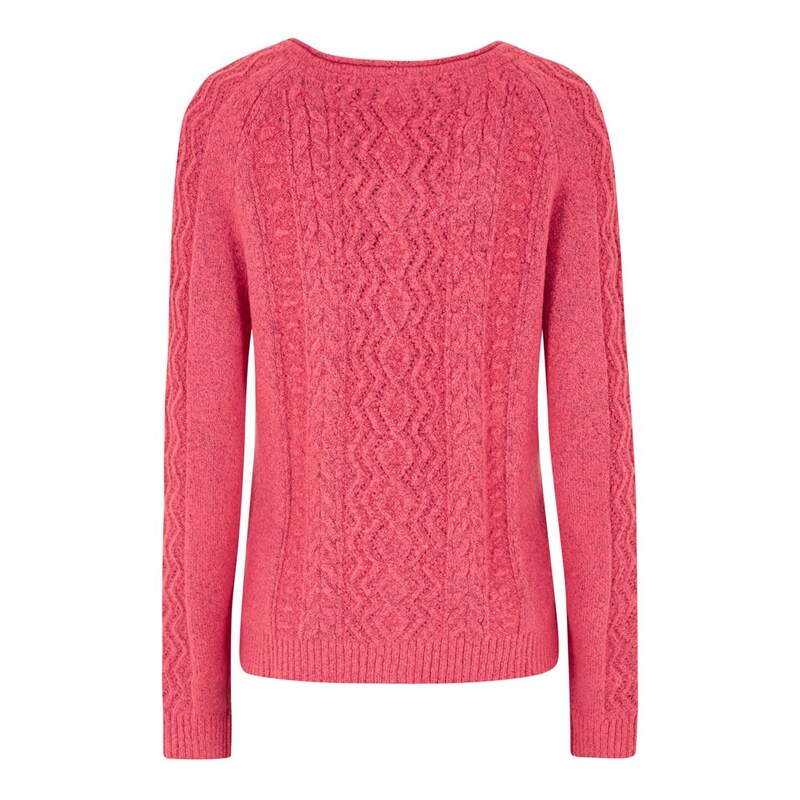 With a cable knit pattern to the front and back body, combined with a plain jersey knit to the front body sides the Sara is warm, cosy and particularly comfortable due to the small amount of added stretch. 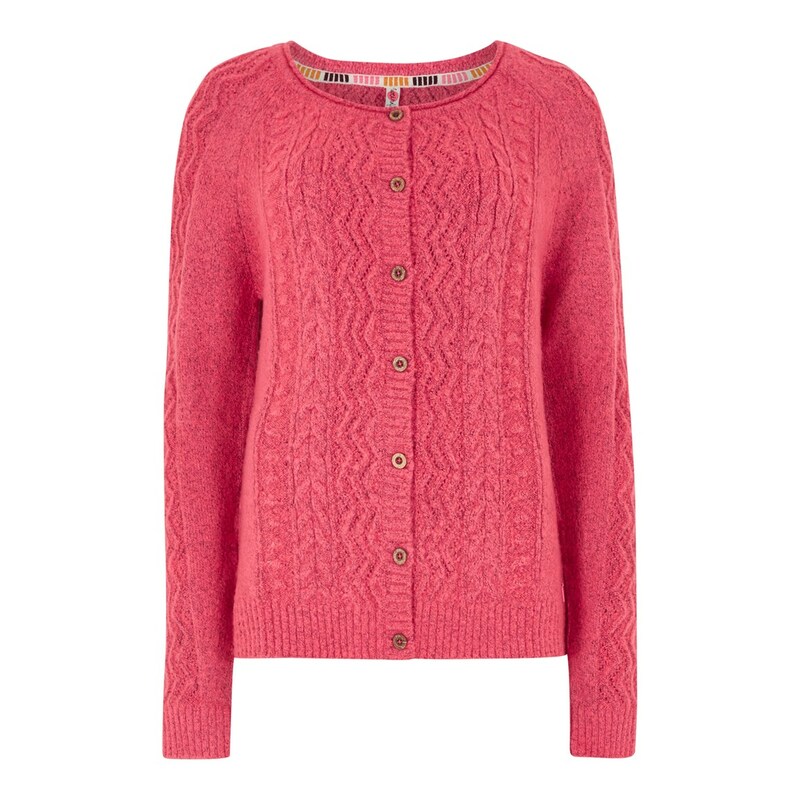 Whether you're weekend style this versatile cardigan can partner any outfit. 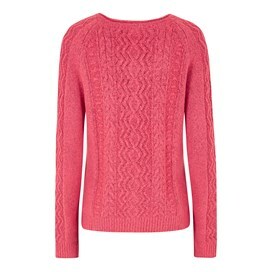 So soft and warm, wear the Sara and look relaxed and stylish whilst shielding yourself from the chill. I have this cardigan in other colours and they have proved to be of top quality and comfort. It is very difficult to find a warm cardigan these days that has buttons and pockets. Brilliant. Am usually a 22 but know your 20 will fit. This is so soft a nice pattern and a colour that goes with so much.